Today’s gospel (Luke 4:21-30) needs to be heard and can really only be understood in the context of last week’s gospel (Luke 4:14-21). So let’s take a look at where we are. Those words from Isaiah and Jesus’ comment on them form what has sometimes been called Jesus’ inaugural address, what I described last week as the politics of Jesus. He has established his priorities and described the character and direction of his ministry. With those words Jesus has outlined his political platform – good news to the poor, release to the captive, sight to the blind, letting the oppressed go free, declaring God’s favor; right now, here, today. Last Sunday I talked with you about politics, the politics of Jesus. Well, today’s gospel is the second half of the story that began last week. So guess what I want to talk about today? More politics. I want to talk with you today about the politics of Nazareth and the politics of borders in light of Jesus’ politics. Politics is about much more than just elections and governmental process. When I speak of politics I mean the ways in which we order our relationships and relate to one another. I am talking about the ways in which we live together and how we get along. More and more it seems we do our politics by creating boundaries, building walls, establishing borders. We separate and divide ourselves against each other so that border control now defines our relationships with each other. 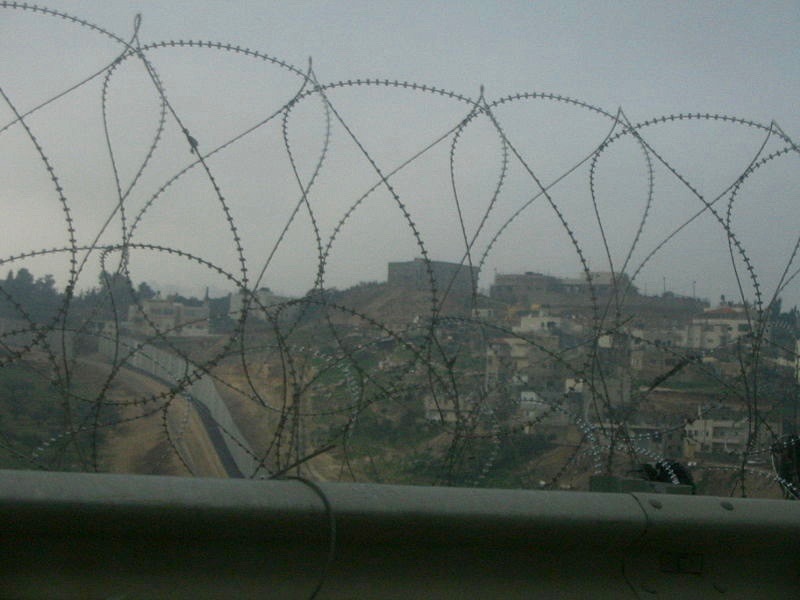 Border control is at the heart of the conflict between Jesus and the people of Nazareth in today’s gospel, and it seems to be at the heart of our own political conflicts in today’s world at every level. Let me give you a few examples. Look at our presidential election. Clear boundaries are being built and strengthened between the Republicans and Democrats, and even within those groups lines are being drawn over who is a real Democrat and who is a true conservative. A border stands at the center of the debate concerning immigration and Syrian refugees. Wherever you find racism, prejudice, or discrimination you will find walls. Our economic system has created a stark separation between the rich and the poor. Within the Anglican Communion we remain divided over which boundaries contain the correct interpretation of scripture. And when it comes to our personal relationships I’ll bet each of us can name the walls and barriers that have stood at the center of our conflicts. Whether our borders are geographical, physical, ideological, religious, or emotional, they first exist and arise from within us. We project the borders of our hearts onto the world and each other. What I’ve come to realize is that whenever we build walls or establish borders two things usually happen. First, we put ourselves on the right side, the good side, the inclusive side of the wall, and some other person or group on the outside. Second, it’s not long before securing and defending our borders become more important than the other person or group. We no longer see their pain, hear their cries, or much care about their well-being. At best they become issues to be resolved or problems to be fixed. There simply is no room for that in the politics of Jesus. To the contrary boundary crossing is a hallmark of Jesus’ politics. Later in Luke’s account of the gospel Jesus will touch and cleanse lepers. He will eat and drink with tax collectors and sinners. He will heal on the Sabbath. Each one of those is violation of the accepted boundaries of the day. Jesus lives and relates without regard to the established walls that separate, the rules that categorize and label people, and the borders that define party loyalty. The pain and hurt of poverty, captivity, blindness, and oppression know no boundaries. That means the divine favor of good news, release, sight, and freedom can have no boundaries. If the politics of Jesus, divine favor, has no boundaries shouldn’t that also be true for our politics and human favor? How can we as followers of Jesus presume to limit or exclude another from human favor, much less divine favor? The people of Nazareth start off liking Jesus’ message. Who wouldn’t? Good news to the poor, release to the captive, sight to the blind, freedom for the oppressed, and divine favor all sound good and right. It did to the people of Nazareth. They are unanimous in their opinion of Jesus. “All spoke well of him.” They perceived his words as gracious, full of grace, and all “were amazed.” Everyone loved what they heard. Then they recognized and claimed Jesus as their guy. “Is not this Joseph’s son?” they say. They see Jesus as the hometown kid. He’s one of them. And the implication is clear. They expect some political, if not divine, favoritism. After all, that’s how border based politics works. But that’s not how Jesus’ politics works. Jesus puts people loyalty above party loyalty and even hometown loyalty. That’s how divine favor works. People come first. To make his point Jesus reminds the people of Nazareth that of all the starving Jews in Israel during the famine, Elijah, the prophet of God, was sent to none of them except a poor non-Jew widow, an outsider, a nobody; and of all the lepers in Israel during the time of Elisha the only one to be cleansed was Naaman the Syrian, another outsider. In fact, as a non-Jew and a leper he is a double outsider. They heard Jesus loud and clear and this time they do not like what they heard. The people remain unanimous in their opinion of Jesus. “All in the synagogue were filled with rage” and they wanted to kill him. After all, that’s how border based politics works. If that stings and makes us angry – good – maybe we are beginning to understand what Jesus said in Nazareth. Maybe we’ve heard his contradiction of our politics. If it doesn’t make us angry, if it doesn’t challenge or contradict our politics, maybe we haven’t heard what Jesus said. Maybe we haven’t grasped the real meaning, extent, and implications of Jesus’ politics and the divine favor. This is not about Jesus’ rejection of Nazareth, America, or anyone else. This is about the expansiveness and inclusiveness of divine favor. This is about the power of Jesus’ politics to overcome border based politics. It means that nothing can separate us from the love and divine favor of God in Christ Jesus. Regardless of the barriers we’ve faced or the boundaries that have enclosed us the divine favor still breaks through. It also means we ought not be setting barriers between the divine favor and anyone else. For most of us, I suspect, it means we might need to check our own politics. To the degree we live a border based politics, to the degree we try to deny another human favor or the divine favor of God, Jesus will pass through our midst and go on his way. That’s what happened to the people of Nazareth. Jesus did not go on his way because he was rejected. He was rejected because he would not go their way. Let’s not be Nazareth. Let’s not demand Jesus go our way. Let’s cross some borders and go with Jesus on his way. What border do you need to cross to go with Jesus on his way? That’s not just a question for you? It’s a question I must answer. It’s a question our church must answer. It’s a question our country must answer. It’s past time, way past time, that we left Nazareth. What can I say? What can I do? Vote? Where is the candidate? Select a new priest? Dear God. Still pondering. The better question, what am I and what can I be without the borders. I appreciate your pondering and agree you have asked a better question. Seeking and asking the better question is, I think, an important part of spiritual growth and maturity. Your question prompted me think that maybe it’s not “what” but also “who.” Who am I with borders and who am I without borders? Who do I want to be? Thank you. Amen. Fences don’t make good neighbors. They make isolating ghettos and deprive us of each other, which deprives us of ourselves. Yes, the fences that exclude can quickly become the fences that imprison. Wow! The prophet Michael speaks! Thank you, and YES!!! I guess you consider yourself on th right sde of this fence. Nice spin.